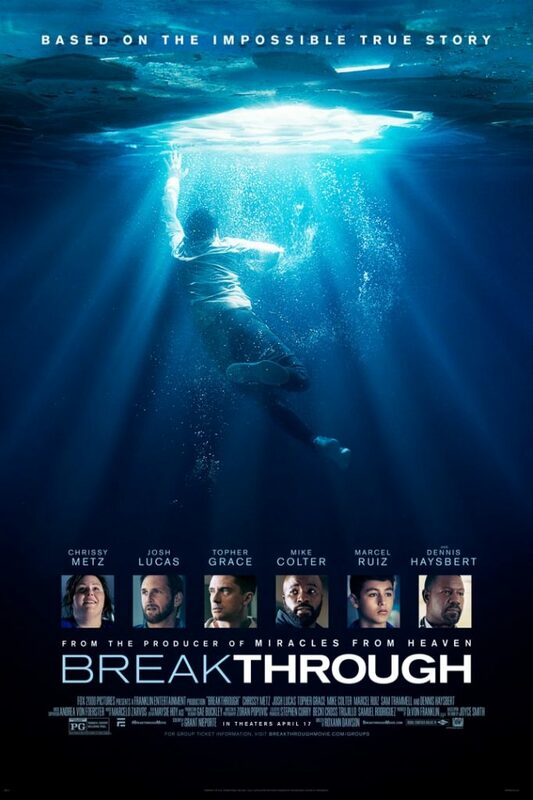 BREAKTHROUGH is the story of what God did in the life of a 14-year-old boy just a few hours away in St. Charles County, Missouri. Adopted from Guatemala by his parents, Joyce (Chrissy Metz from This is Us) and Brian (Josh Lucas), John Smith is a normal kid living a regular life until he falls through an icy lake and remains submerged for 15 minutes before being rescued. The story of faith and prayer that follows will remind you that miracles do happen, and you cannot overestimate the power of God.